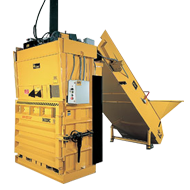 The Seven Sixty (S60XD) is an extra high density baler with a 7" cylinder and over 92,300 pounds of baling force. Corrugated cardboard carton/box bales will weigh up to 1,250 pounds. 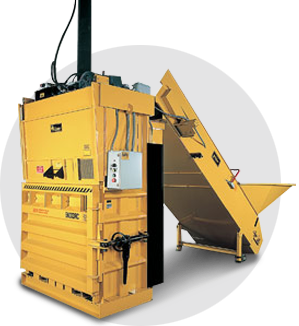 This model is available as the System Seven Sixty with hydraulic rear chute and conveyor for automatic baling of plastic bottles (PET and HDPE) and aluminum and steel cans.